Spread throughout the city, many bus-, tram-, metro- or train stations have a rental point where you can pick up a bike. This will cost you €3,85 for 24 hours. After 72 hours, you have to pay an additional fee of €5,00. After you finished riding the bike, you are expected to return the bike to the same pick-up-point you initially got it from. IMPORTANT: In order to rent an OV-bike you have to own a personal ov-card. Thanks to the chip located in the card, your card will be identified when choosing the bike. Below is an overview of all the locations scattered throughout Rotterdam where you can pick-up a bike. Sorry, opening hours are unknown. Find more information about the ov-bike here. This company is an online platform that functions as a mediator between you and other renting companies. On this site, you book and pay for your bike. An easy way if you don’t want to search yourself! But how does this work exactly? Step 1. Visit the website, choose the Netherlands and type in Rotterdam. If you want to read the website in a different language, you can switch to another language in the right corner. Step 2. Look at all the renting companies that pop up on the website and compare prices. Here you make the decision with which company you want to do business. Step 3. When you have chosen a company, select the dates you want to rent the bike. Step 4. Also fill in the type and number of bikes you want to rent. On your right, the total amount you have to pay will come up. Step 5. Close the payment using Paypal, Mastercard, Maestro, Visa or iDeal. Then you’ll receive a confirmation from BimBimBikes. Those were the two options for renting a bike in Rotterdam! 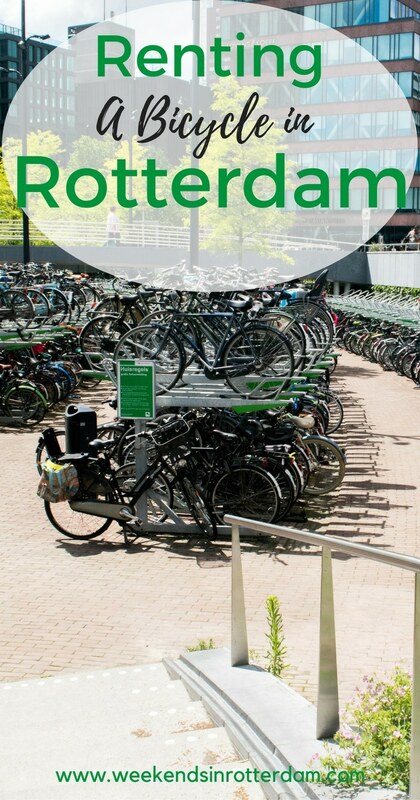 If you’re planning on staying in Rotterdam for a few months or even indefinitely; buy a bike! We recommend to get a second hand one, as bikes are often stolen in the city center. To get yours, check out Marktplaats or a Rotterdam community Facebook group.